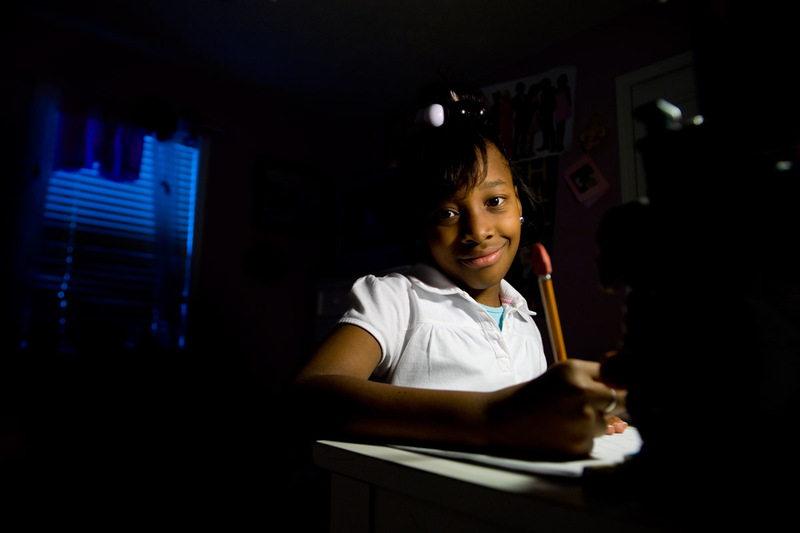 Nine year-old Destiny Jackson sits at a desk in her room, doing her homework. She and her mother Deirdre Jackson, a schoolteacher, lived in New Orleans East before losing everything to Hurricane Katrina. "We had nothing to go back to," said Deirdre, who has resettled in Jackson, Mississippi, in a house built in partnership with Metro Jackson Habitat for Humanity. She shares her home in the Poindexter Park neighborhood with Destiny, her 16-year-old nephew, Patrick, and two tuxedo cats, Adam and Eve.